Consider adding a finishing touch to your new Romantic Plush Animal by including one of our 9" Valentine's Day Mini Balloons! Each balloon includes a cap and stick. Some assembly may be required and the designs may very. 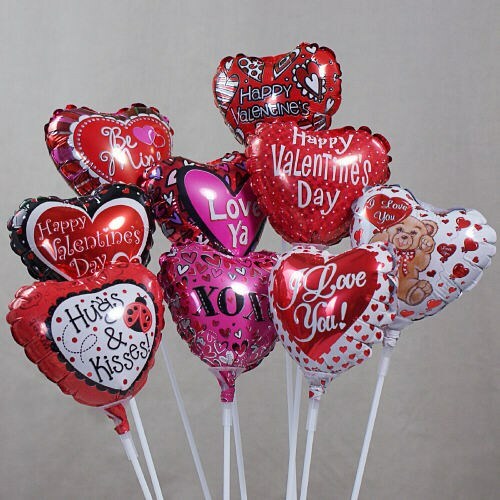 Additional Details Valentine's Day Balloons make the best additions to your Personalized Valentine's Day Plush Animals. Shop 800Bear.com for all of your special gift ideas.